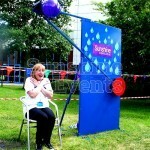 The Pitch Burst Dunk Tank really is simple to use. 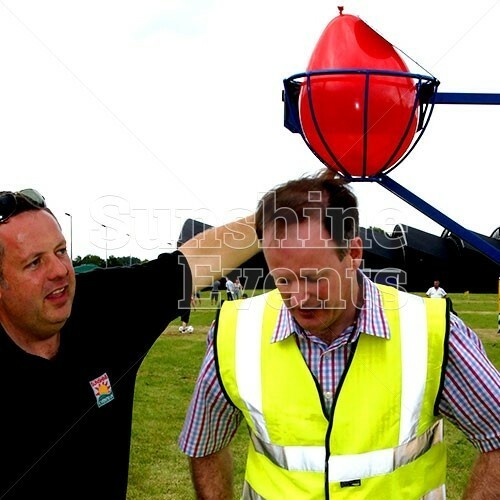 All you need is a willing 'volunteer' which might be your teacher, boss or maybe even your child! They take a seat and the water-filled balloon is loaded into the cage above. 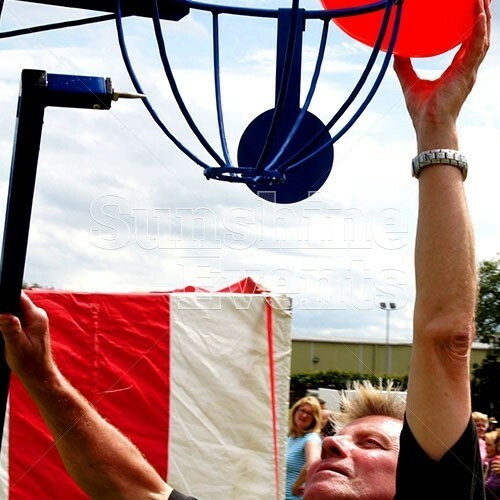 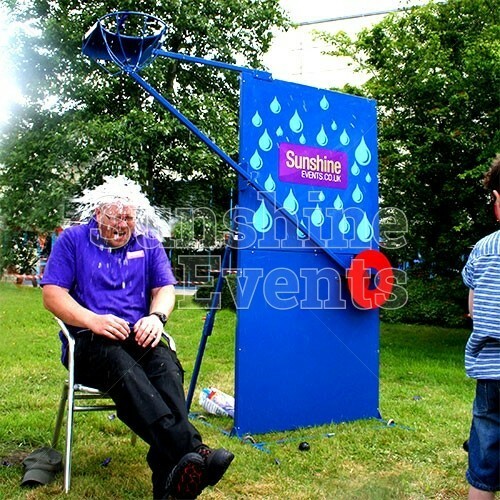 People are given three balls and take their best shots then take their best shot aiming the ball at the target hoping to trigger it and burst the water filled balloon over the unlucky victim. It is always a crowd puller as all ages enjoy watching the tension mount as the crowd cheers and volunteer attempts to distract them from hitting the target. 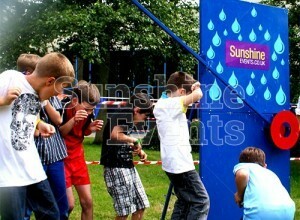 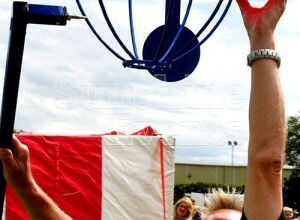 The Pitch Burst Dunk Tank always works well at your family fun day, corporate event, team building or fundraising event. 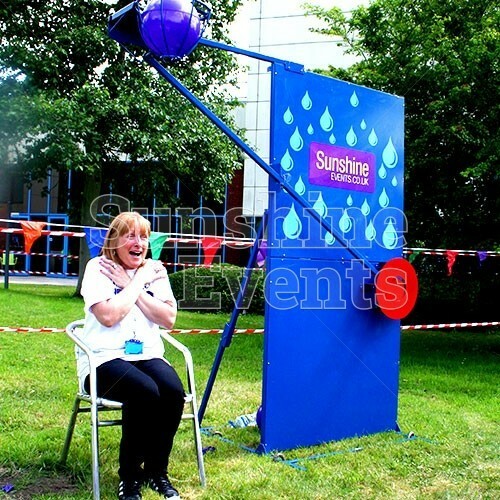 Much like the Stocks Hire, the Pitch Burst Dunk Tank is great for raising money for charity as you can always find someone that people want to give a good soaking to! 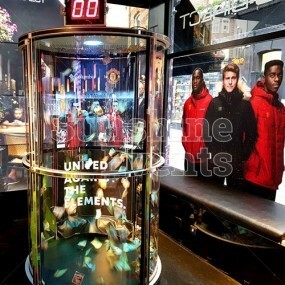 The Pitch Burst Dunk Tank comes with plenty of balloons to fill with water along with balls to throw at the target, so as long as you have a victim to soak you can spend all day trying to burst that balloon and let the water fall! 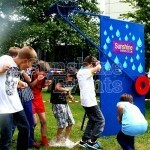 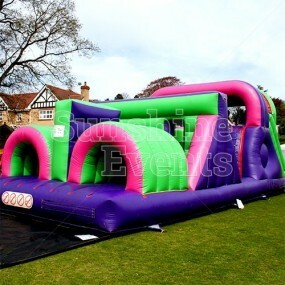 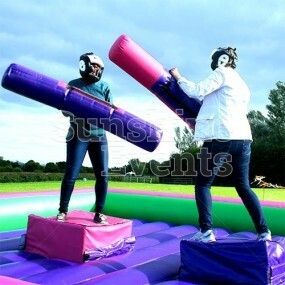 What events are the Pitch Burst Dunk Tank Hire suitable for? 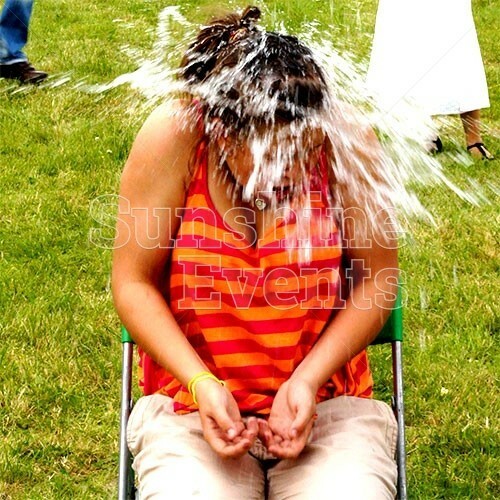 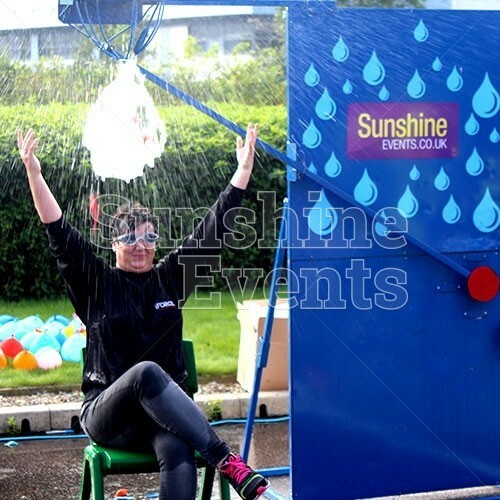 The Pitch Burst Dunk Tank Hire is a great addition to a fundraising event, with people giving donations to give the waiting victim a good soaking! 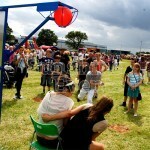 The Pitch Burst Dunk Tank Hire always draws a crowd as the tension mounts! 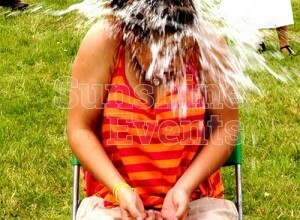 How many throws will it take you to give them a surprise! 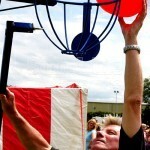 All that is required is access to water to fill the balloons and volunteers to take a soaking. 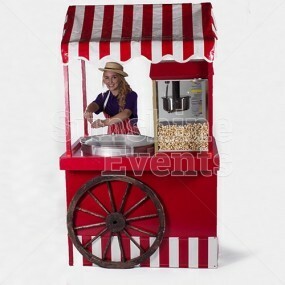 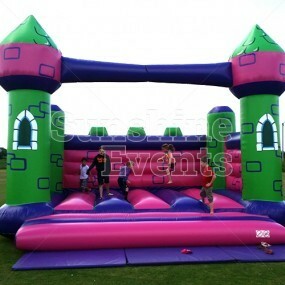 Pitch Burst Dunk Tank Hire has been added to your Event Quote.